On Monday I wrote about the return of the Red Hook Ball Field vendors and how the crowd has been dying down every season. I may not be able to bring a lot of people but I do hope I can help in some way by getting as much people to go with me tomorrow around noon. And according to Blondie and Brownie, their six year permit to vend at the ball field ends this year. So it makes it even more important for us to support these vendors. 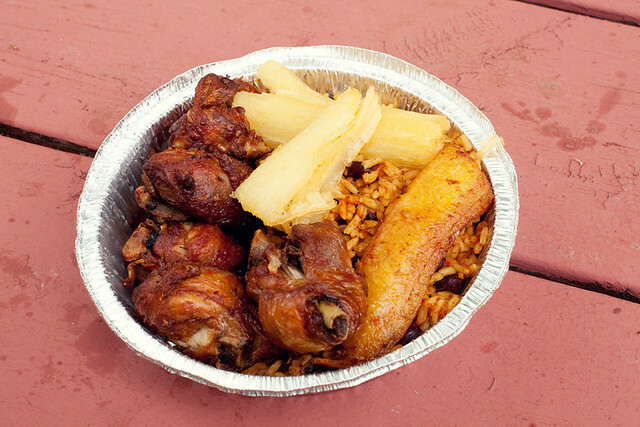 So will you join me tomorrow, the 12th, at the Red Hook Ball Field around noon (till 3pm) for some tasty Latin foods? I will try and grab the 2nd bench in the field along Bay St, closer to the corner of Bay St and Clinton St. Then we’re going to follow up with a trip to the new The Treats Truck Stop grand opening for some cookies and brownies. Oh…and I look like this!